Is Nutro Food The Best Food For Your Pup? 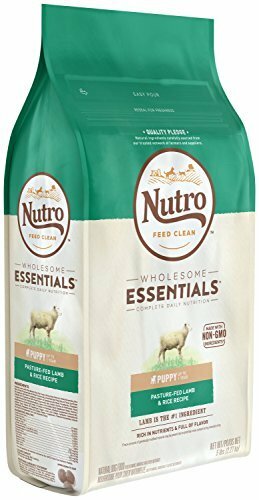 All dogs deserve the best is the creed the Nutro Natural Choice Company firmly believes. The products of the company have always been geared to the philosophy of “pets first” when it comes to their nutrition and well-being. To this end, all dog food formulas created and processed by Nutro contain only natural ingredients. It is because the company implicitly believes that dogs deserve to eat only the safest, tastiest, and healthiest foods. Nutro guarantees that all their dog formulas only contain the finest gifts from nature such as whole grains, fiber, and animal-based proteins. No artificial colors, flavors, and preservatives are included to make the dog food safe, healthy, and nutritious. There are occasional coupons and special offers on the official website of the company. Individual retailers, specialty pet stores, online pet food retailers, and local pet food chains sometimes offer Nutro coupons to customers. One of the best ways to know first-hand about special discounts, coupons, and product news is to use social media platforms to connect with Nutro. Mars, Inc currently owns Nutro and has been since 2007. The Nutro brand started in 1926 when a dog food company during that time was purchased by John Saleem. Nutro products were the name he gave to the then newly-purchased dog food company. It was in California where this family-owned business had its beginnings. The company only expanded in 1976 after decades of selling the dog food products locally. The MAX dog food line was later introduced by Nutro in 1985. Mars, Inc acquired the business in 2007 and made Tennessee the new headquarters of Nutro Natural Choice Company. 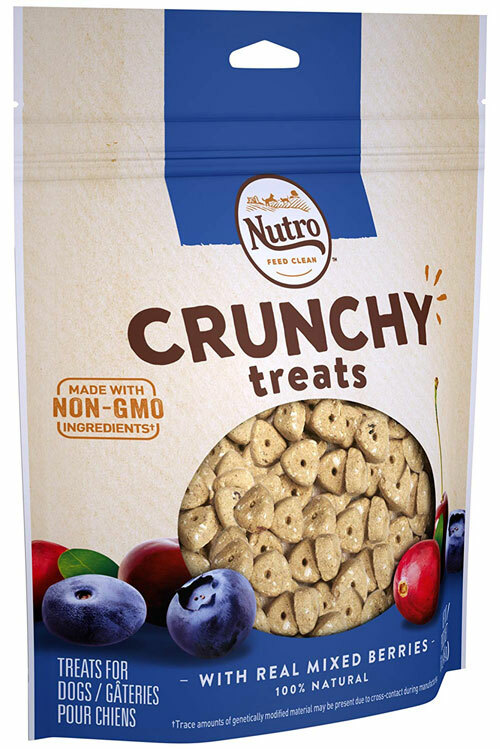 Nutro began as a simple family business that expanded several decades later. The company’s expansion made way for more dog food products and dental treats. This is in line with the company’s goal to provide varied formulas to answer the needs of different dog breeds and life stages. Switching between recipes and formulas of the dog’s diet becomes easy and seamless with the offer of various products from the Rotations line. Farm-raised veggies and fruits and real meat are the freeze-dried formulas offered by the Farm’s Harvest line. Healthy carbohydrates and farm-raised meats are the basic and healthy options gained from the MAX line. Optimum nutrition is given to the family pet with the super-premium products under the Ultra line. Oral care has never been easier when pill pockets and dental chews from the Greenies line is the choice. It pays to know what ingredients are used for the varied Nutro Dog Foods to determine the best product for your beloved pooch. Large breed puppies will be able to thrive and grow healthily with the specific nutritional elements included in this particular dog food product. Development and growth are ensured with the help of the omega fatty acids. Strength and muscle growth that are essential to large breed puppies are supported by the inclusion of amino acids. Moistening the kibble would be the perfect way for feeding very young puppies as well as providing just the right size for growing teeth. 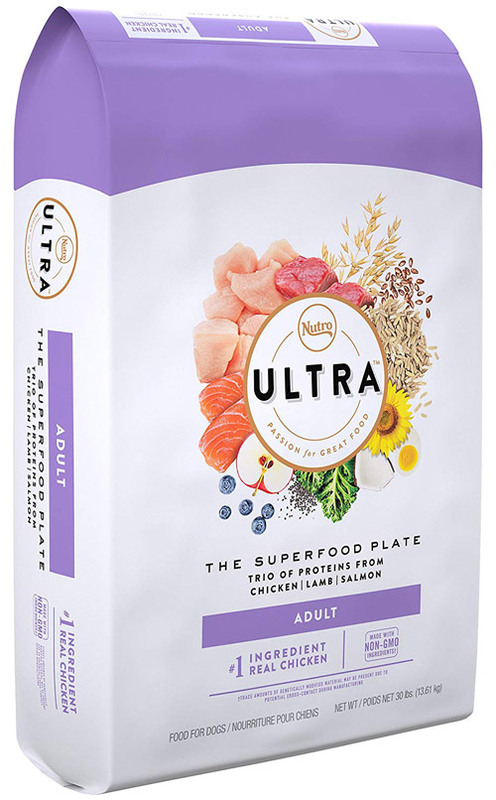 Specifically designed for small breed dogs, the Nutro Ultra will not only answer the nutritional needs but also provide the perfect kibble size for small jaws and teeth. Small breeds are guaranteed to become and remain in optimum health with the ingredients that include whole grains, chicken, and superfoods such as coconut, flaxseed, and blueberries. 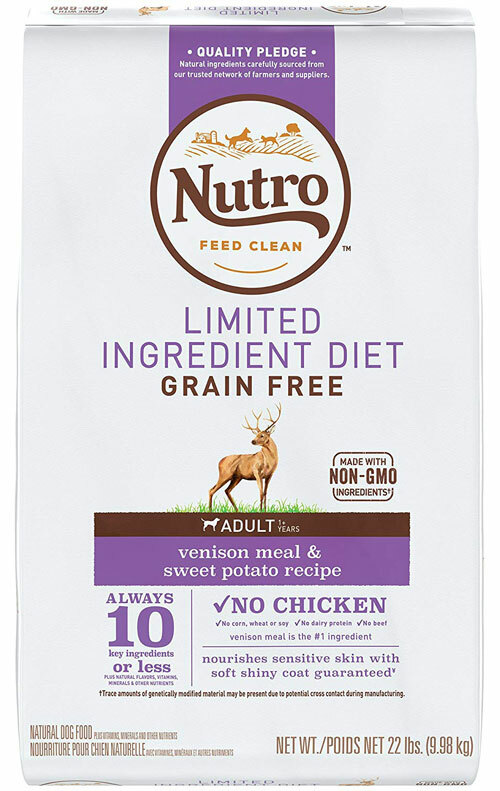 The absence of any GMO ingredients and artificial preservatives, colors, and flavors follows the Feed Clean belief of Nutro. The food choice can be a bit tricky for small breed dogs. For one thing, the food options are limited and the small breeds tend to be picky eaters as well. However, this particular dog food line covers it all with a nutrition package that does not only support the health of coat and skinbut taste gloriously delicious as well. The only downside to this recipe is it’s being unsuitable for dogs prone to allergies. Stomach sensitivities may get triggered with the addition of the wheat gluten ingredient. Snacks are important things for your furry friend. They can be part of fun bonding times or serve as rewards for good behavior. 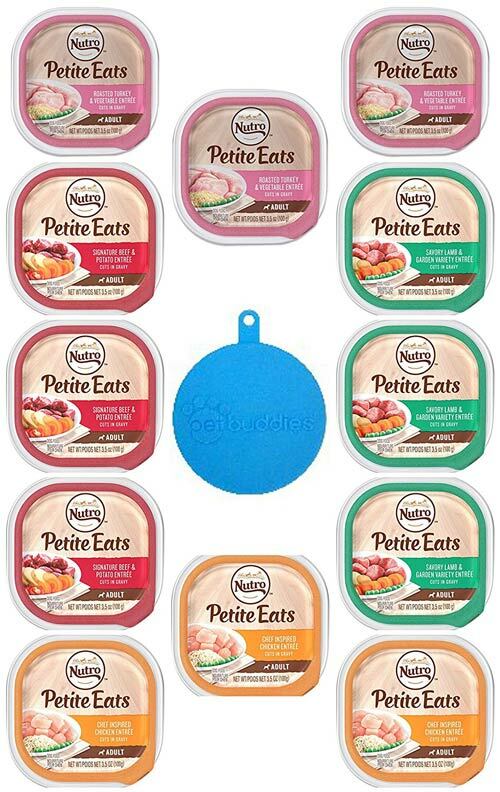 These tasty treats would be the healthy choice for both large and small breeds that does not pack in the calories. The addition of fruits makes it an all-natural treat that loads in the antioxidants to keep the pooch healthy and strong. Just remember that the treats should never take the place of major meals. They are just there as a food option that all dogs always look forward to. Some dogs have stronger stomachs, but most of them have digestive systems that are ultra sensitive. 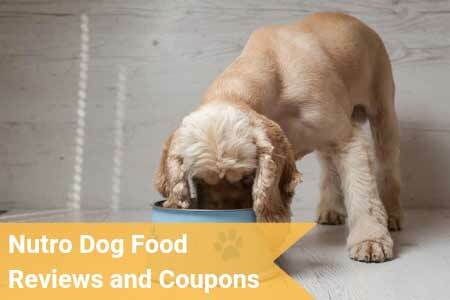 This is the foremost reason for the formulation of this particular dog food recipe. Large breeds that are prone to stomach ailments will love the taste and, at the same time, adjust well to the recipe. All ingredients are natural and being grain-free makes it the perfect antidote for sensitive stomachs. It is well known that consumer reviews that can be found online tend to have a negative bias. This is because people don't feel the need to praise a top tier product that is doing what it claims but is quick to alarm other when it doesn't, and this is a good thing. For this reason, it is astonishing to see that most of the reviews online about Nutro are positive, with consumers reporting good quality and the apparent satisfaction from their canines. As is the case with negative reports, you should never take online reviews at face value the reviewer might have a completely different dog than yourself. From age, breed, fitness, as well as any maladies like allergies, everything can influence your dog’s response to dog food. The best thing about the Nutro dog food formula is that it is simple. No bells and whistles that are used as a gimmick, or fancy ingredients that are hard to pronounce, let alone test. Customers report that Nutro has opted to use real meat and that their dogs are happy because of it. Although simple ingredients are slightly more perishable, which increases the price of the product a bit,Nutro is still nowhere near the top prices of some dog food brands. Additionally, Nutro has a relatively wide range of products, all bearing this simplicity. Different products are not different due to changed production processes, but rather because of different meat and other ingredients that are inside. Buyers report that lean, low-fat, meats that are in some products really do help sensitive canine stomachs, which is quite ensuring for other buyers to hear. Some consumers have complained that their dog has started reacting differently to the product at some point. While in some cases this might be because of bad handling of the canned dog food, in most cases it is noted that the dog used Nutro food for years. The truth, in this case, is that while the food didn't change, their dog did. Nutro is such a stable brand that in some cases it becomes a victim of its own success, having the dogs that eat it outgrow it. The food that is good for adolescent and adult dogs is not appropriate for senior dogs. As your dog grows older and becomes less active, you should contemplate changing its diet to something more based on fiber and carbs, with slightly less protein and fats. Nutro is generally a good formula and a very stable food source for your canine. As always, you should never buy dog food without informing yourself. Consult with your veterinarian and test your dog first to see how it responds to the food. As Nutro dog food has a lot of differently sourced animal protein, be sure to pick the one your dog is used to. Additionally, try to combine the additional nutrients in the food such as vitamins and minerals to any treats and supplements you are giving the dog. Finally, you should always try to buy on sales and by using coupons, as to ensure a steady supply of high-quality dog food for your furry friend. Is the Nutro dog formula the right one for you? Judging by customer reviews there are a lot of benefits to feeding your dog Nutro and there is certainly a lot of options provided by the company that you can choose from. As always, consulting with your vet in case your dog has any sort of allergies or other issues is the best course of action, as it will inform you which type of Nutro dog food you should take, but in general this high-quality manufacturer is a solid choice for your furry friend. 6.5 What to Look after?